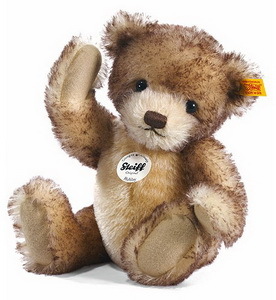 This bear is designed for the Steiff 2015 collection. 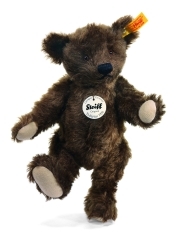 This bear is designed for the Steiff 2014 collection. 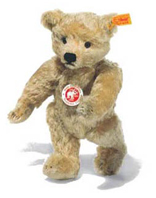 This Steiff Cookie is made for 2013. He is 30 cm. /12" tall. Made out of cream and pale brown mohair. 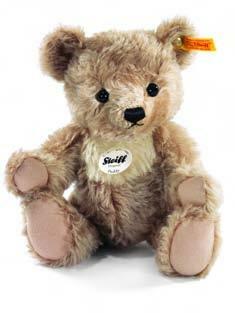 This Steiff Brownie is made for 2013. He is 28 cm. /11.2" tall. Made out of beige tipped mohair. 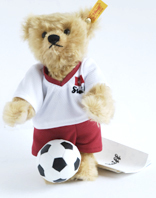 This bear has been made by Steiff in 2011. 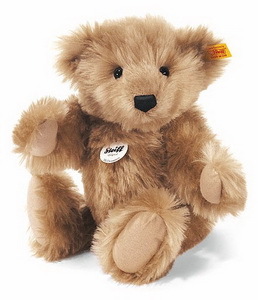 He is made of light brown coloured mohair and he is fully jointed. 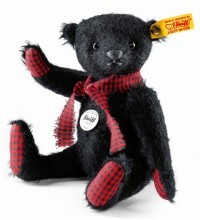 This bear is made in Germany in 2011. He is made out of cinnamon coloured mohair. 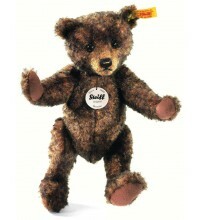 He is made of brown tipped mohair and is fully jointed. Ginny is made out of creme coloured alpaca in Germany in 2010. She is 28 cm. / 11.2" tall. Moritz is made of mohair in Germany in 2010. He is 33 cm. / 13.2" tall. 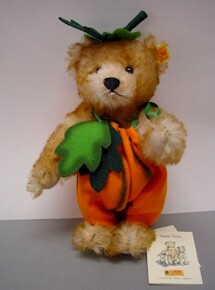 This bear has been made in Giengen in 2008. The bear is 22 cm. / 8.8" tall. He has been made for the World Soccer Games in Austria and Switzerland. This bear is 25 cm. / 10" tall. He is made out of white coloured mohair. 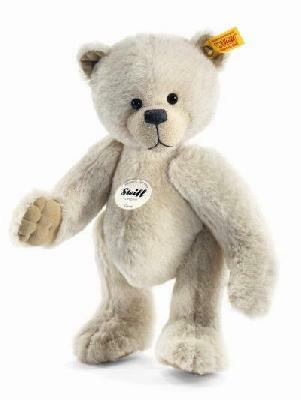 This bear is made by Steiff in 2011. He is made out of brown mohair. 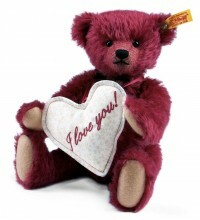 This classic teddy bear is 25 cm. / 10" tall. 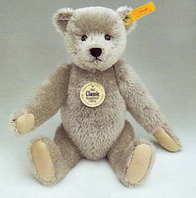 He is made of blond coloured mohair. 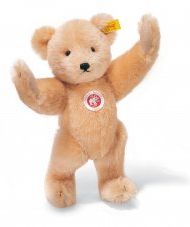 This wonerful bear is made in germany. This bear is 27 cm. tall and has a pale shade of orange. 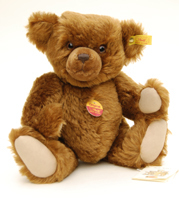 This classic teddy bear is 32 cm. / 13" tall. He is made of yellow mohair. He is made of grey coloured mohair. This teddy bear is 33 cm. / 13.2" tall. 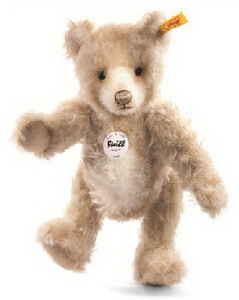 He is made of light brown / messing coloured mohair. Surface washable, with squeeze voice. This teddy bear is 26 cm. / 10" tall. 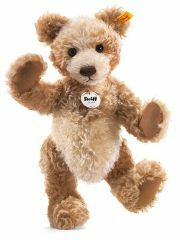 He is made of reddish brown mohair. This teddy bear is 23 cm. / 9" tall. 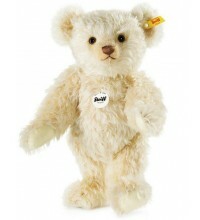 He is made of cream coloured mohair with brown tips..